Choose Dunlop metallic slides for a clean, bright, cutting tone with great sustain. Dunlops Brass slides have been chosen for years for their bright resonant tones and comfortable weights. 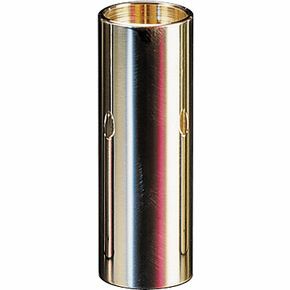 The Dunlop 222 is a medium wall thickness brass slide that fits the ring size 9 with the dimensions of 19 x 22 x 60.